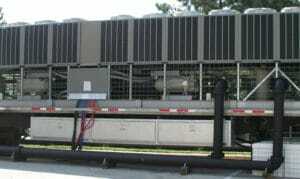 Commercial and Industrial facilities often rely on mobile cooling equipment for short-term projects. In other scenarios, portable cooling equipment is used for urgent matters as in the case of emergency shelters and rescue missions. Portable cooling equipment can be a cost-effective solution across all industries. Investing in mobile cooling machines has its benefits and still offers many of the perks found with permanent cooling solutions. Since not all buildings or work sites require a fixed unit, a portable system is ideal. With temporary cooling equipment, you can enjoy a variety of applications with less commitment. The systems will save you some overhead costs since they are not permanent and require less resources to manage. The challenge in finding the right mobile cooling equipment is determining which machinery is best. There are many brands available however they cater to different requirements. Choosing a unit depends largely on its application. Knowing what you plan to use the cooling unit for will help you select the exact features you will need. Additional points to consider when in the market for cooling equipment is the term of use, size, placement, delivery, installation and maintenance requirements. Alpha Energy Solutions provides portable cooling equipment for projects of all sizes. We can offer a wide selection of systems because we have a large distributor network. We deal with the major manufacturer brands in HVAC so you will certainly have options. If you are in the market for portable cooling equipment, consider Alpha Energy Solutions as a reliable source. We have over 2000 years of experience in the field combined. Due to the fact that we have experienced technicians we can provide support for your mobile equipment once it is delivered and installed. Even if your equipment will be in place for a short amount of time or for a temporary work site, it may need maintenance to run efficiently all of the time.